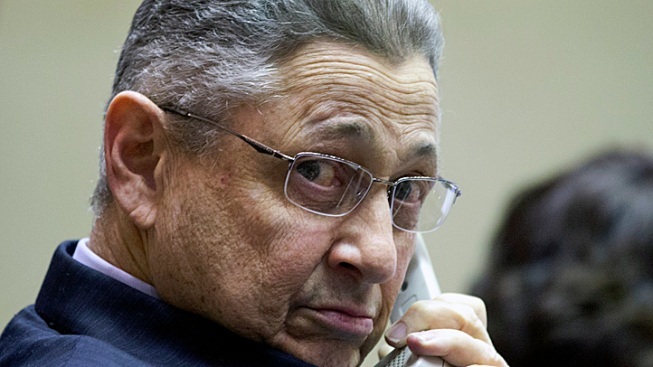 Deliberations in the corruption trial of ex-New York Assembly Speaker Sheldon Silver began with drama Tuesday when a juror claimed that other jurors accused her of failing to use her common sense, leaving her feeling "very, very uncomfortable." "I'm feeling pressured, stressed out," the juror wrote in a note to U.S. District Judge Valerie Caproni in Manhattan as she asked to be excused from further deliberations. The note, the first word from jurors, came less than two hours after deliberations began. Prosecutors accuse Silver of abusing his office for years, collecting millions of dollars in kickbacks for favors provided to a cancer researcher and real estate developers. The defense countered that the once-powerful Democrat did not commit a crime. The prosecution portrayed him as a corrupt politician while the defense said he did nothing illegal. Andrew Siff reports. 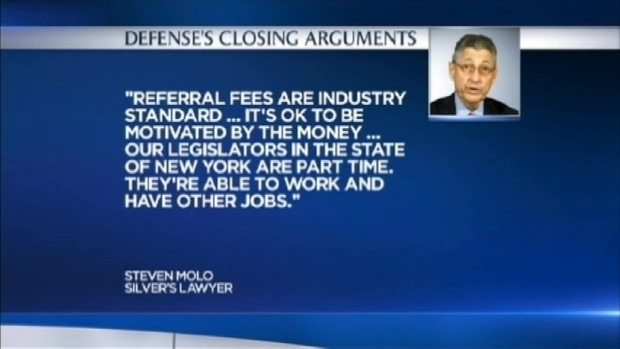 In all, prosecutors claim Silver earned $5 million illegally over more than a decade. Still an assemblyman, the 71-year-old lawyer resigned his leadership post after his January arrest. In her note, the juror said she had a different opinion and view than other jurors "and it is making me feel very, very uncomfortable." Other jurors, she said, were telling her she was not using her common sense. "My heart is pounding and my head feels weird," she said. "I am so stressed out right now that I can't even write normally. I don't feel like I can be myself right now! I need to leave!" After a prosecutor recommended she be released as a juror, the judge said it was too early to do so, and said she would urge jurors to respectfully exchange views. "Listen to and exchange views with your other jurors," Caproni said she would tell them. The judge said she was further convinced that patience was the best remedy when another note emerged from jurors shortly afterward. In it, the jurors asked if there was a code of conduct or ethics code that clearly stated whether receiving funds for something in return is illegal. "It seems there is some deliberation going on," the judge told lawyers. "It's too early to throw in the towel."